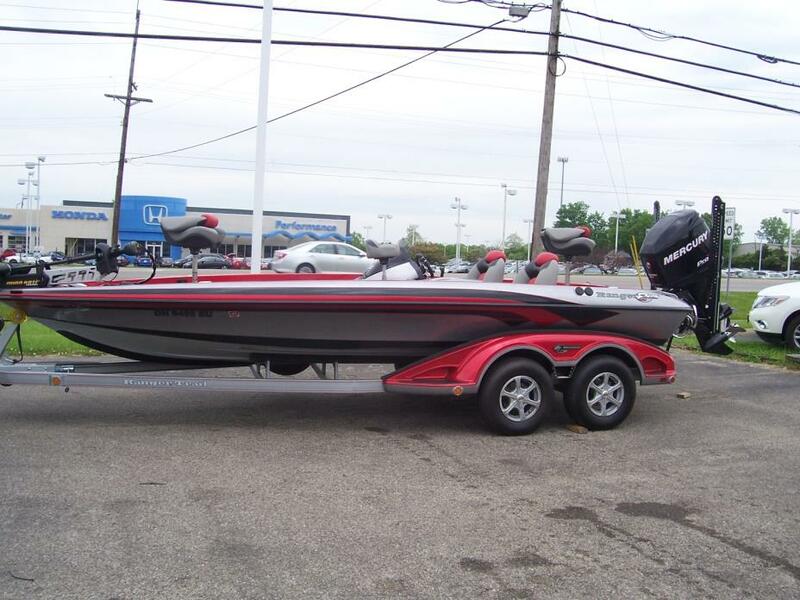 2015 Ranger Z522C, STK# B16 FLW TOURING PACKAGE WITH BLACK CHROME BULLET WHEELS POWERED BY EVINRUDE E300 LUAB G2, 2 EACH 8' WHITE BLADES, ADVANCE FOOTSWITCH KIT @ BOW, ATLAS HYDRALIC JACK PLATE WITH GAUGE, SINGLE TRIM RIGHTSIDE, DUAL CONSOLE, 4 BANK MINNKOTA TROLLING MOTOR, LOWRANCE HDS12 GEN 2 B.B.T. 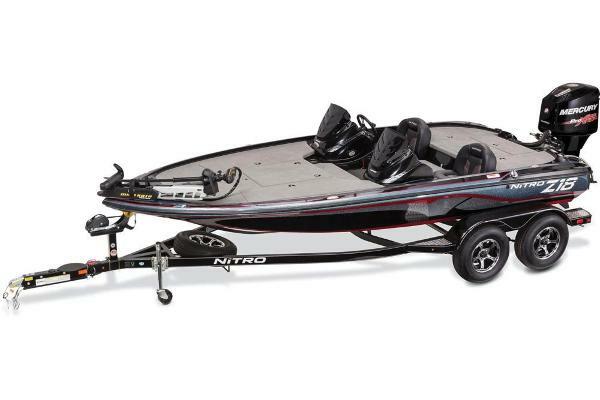 BRACKET @ CONSOLE, LOWRANCE HDS 12 GEN 2 BRIDGE MOUNT @ BOW, MINNKOTA FORTREX 112/US2, COVER. 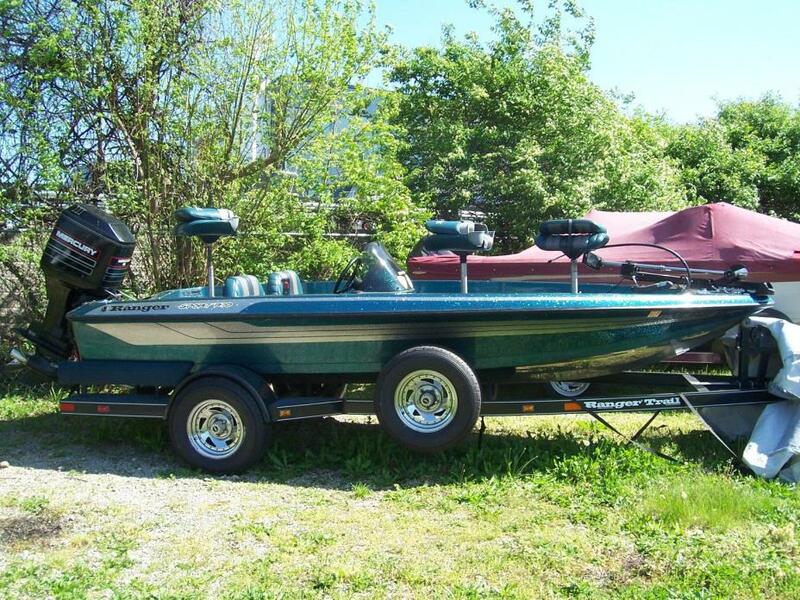 1994 Ranger R70, STK# 15, BLUE/SILVER POWERED BY MERCURY 115 ELPTO, MOTORGUIDE BRUTE 750/45LBS., COVER, 2 BANK CHARGER, ANCHER RING BOW, EXTRA FOLD DOWN SEAT, NEW TIRES. 2011 Bennington 20SLi 1 OWNER!!! ONLY 103 HOURS!!! 2011 Bennington 20SLi featuring Matador Red Panels. 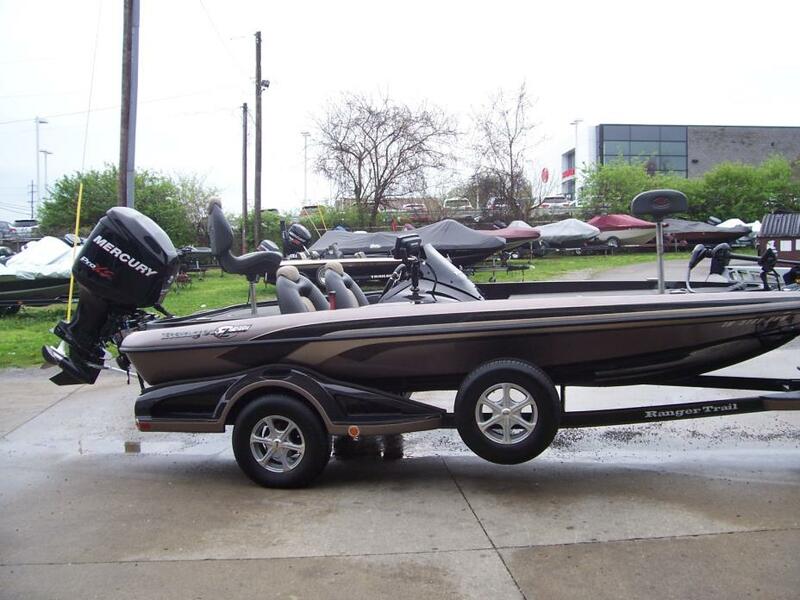 Powered by a 60hp Mercury 4 Stroke. 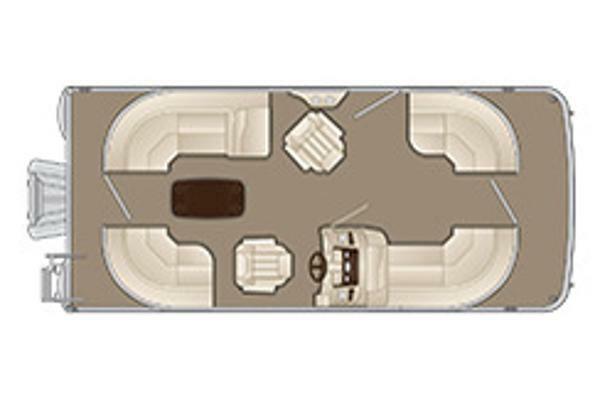 Features Include: Aft Vinyl Flooring, G Series Reclining Helm Chair, Ottoman with Cooler, 2 Portable Cupholders, Dinette Table, Aluminum Swim Ladder, Bimini Top, Playpen Cover, Tandem Axle Phoenix Trailer. The Playpen Cover is Navy Blue and is Brand New! 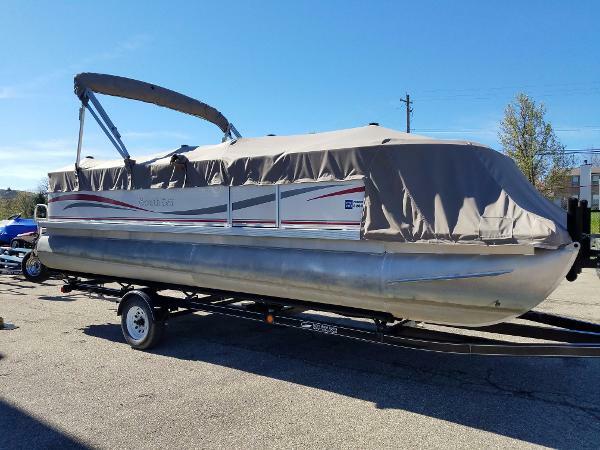 2008 South Bay Pontoons 622CR 2008 South Bay 622CR Pontoon powered by a Big Foot 40HP 4 Stroke Mercury. 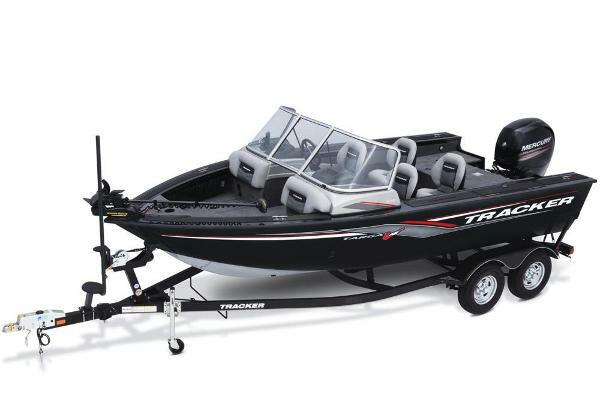 Features Include: Removable Stereo, Dinette Seating, New Bimini Top, New Playpen Snap Down Cover, and Single Axle Trailer. This South Bay has been given great care and has only been used in fresh water. 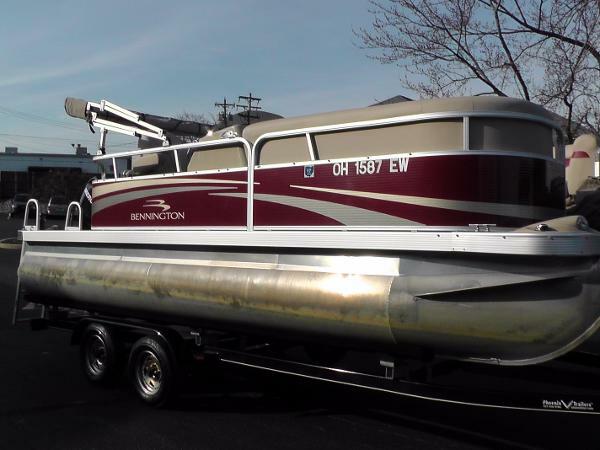 2003 Crownline 180 BR 1 OWNER!!! 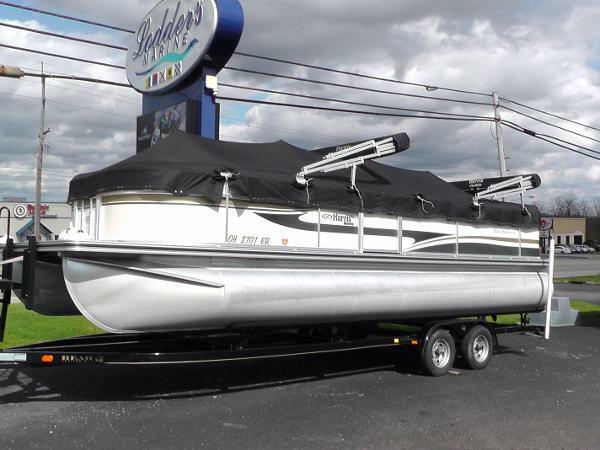 2003 Crownline 180 BR featuring a Citrine Hull Side and color matched single axle trailer with chrome wheels, brakes, and spare. 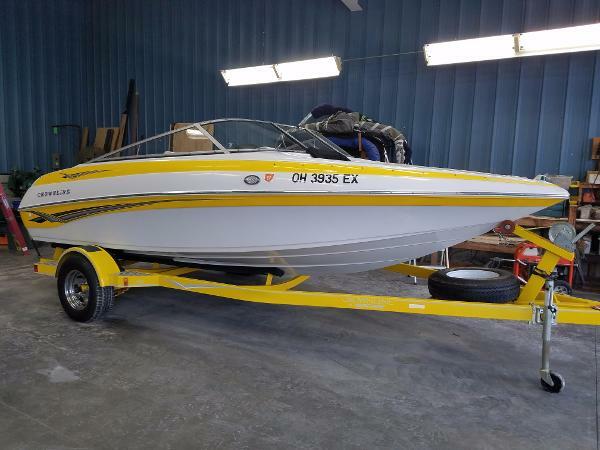 Powered by a 4.3L Mercruiser with an Alpha I drive. 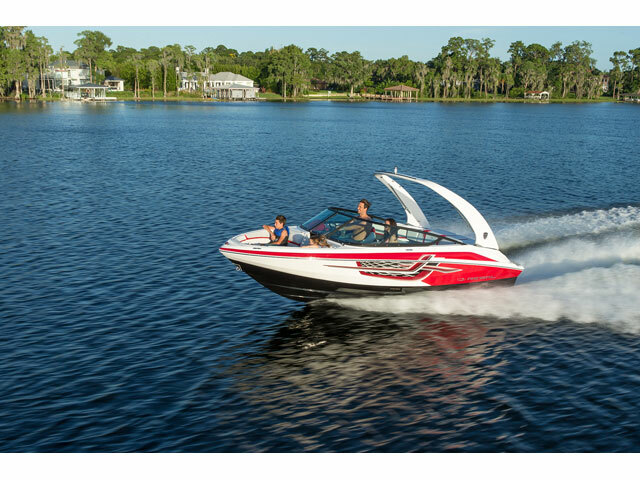 Features Include: Large Sunpad, Twin Captain's Chairs, Ski Locker, Glove Box, Stereo, Camper Canvas Top, Bow and Cockpit Covers. 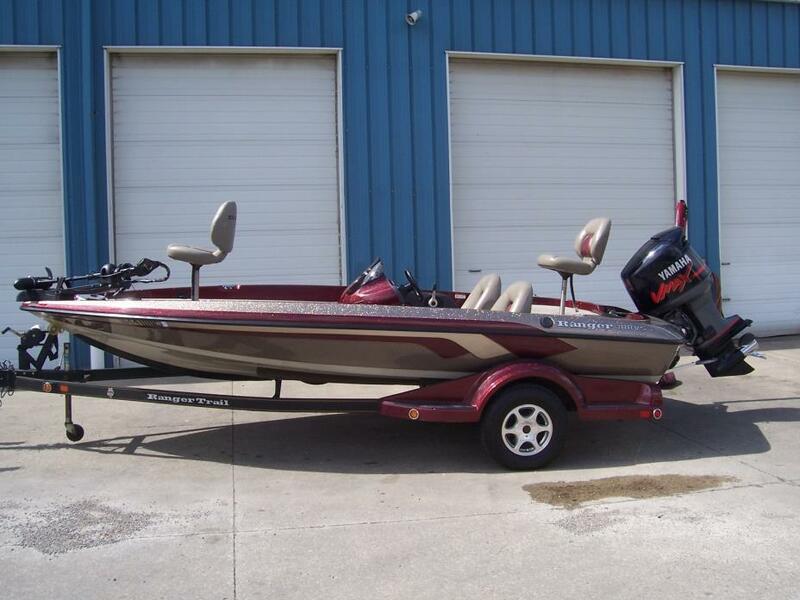 2006 Ranger 188 VS, STK# B12 BURG/MICA POWERED BY YAMAHA 150 TLR, HUMMINGBIRD 597 Ci HD INDASH & BOW, COVER, HAMBY, 2 BANK CHARGER, 8' BLADE POWER POLE, MINNKOTA MAX 70 LBS/24V, 2 FOLD DOWN SEATS. 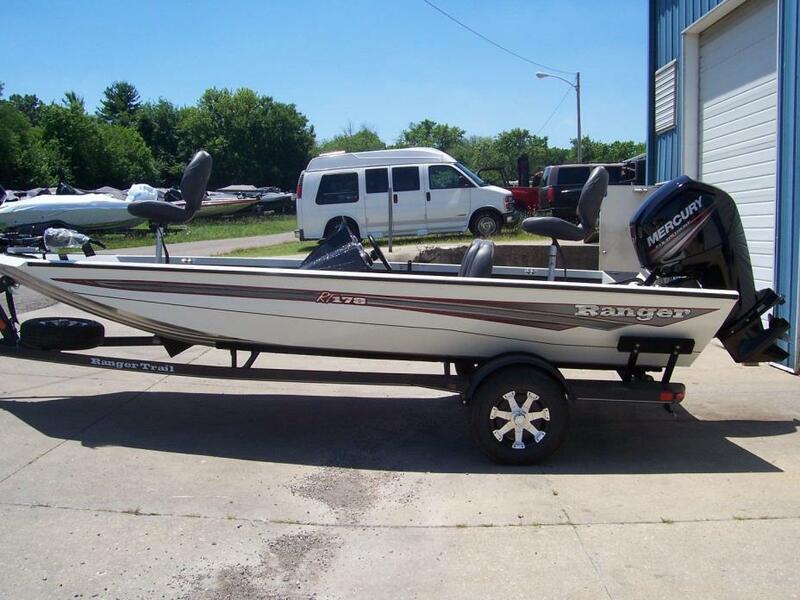 2017 Ranger RT178, WHITE, POWERED BY MERCURY 60 EFI 4S, LOWRANCE HOOK 3 CONSOLE, MINNKOTA 70 EDGE/24V/45', ALUMINUM WHEEL UPGRADE. 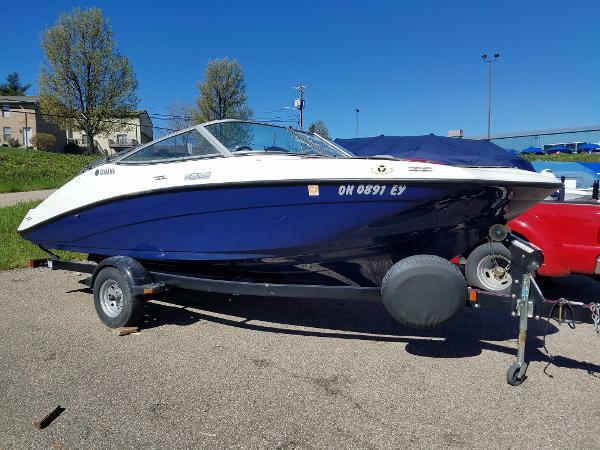 2017 Bennington 20 SSRX 2017 Bennington 20 SSRX featuring Regatta Blue Panels complimented with Champagne Accent Panels. 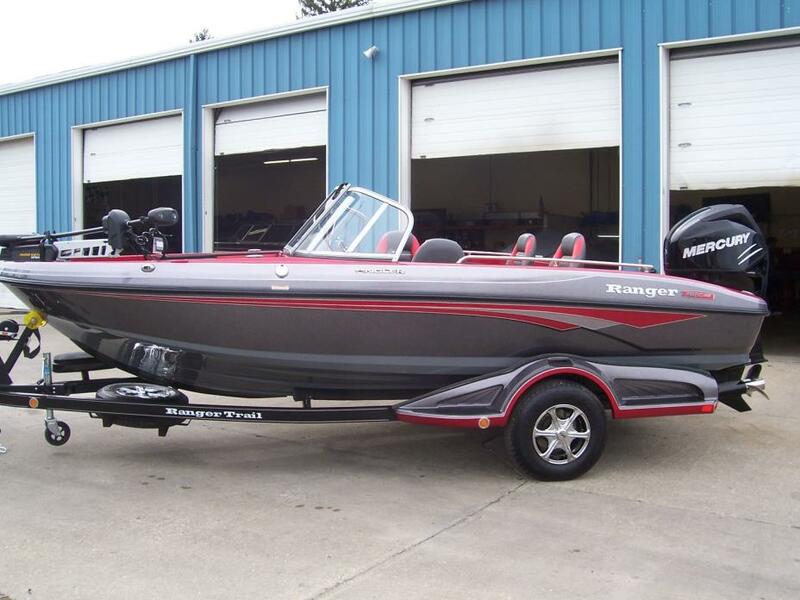 Powered by a 70hp Yamaha 4 Stroke.Features Include: 25 inch Tube Upgrade, Tilt Steering, Docking Lights, Kicker Speaker Upgrades, Striker Fish/Depth Finder, Woven Vinyl Slate Flooring, Curved Boarding Ladder, Battery Switch, Bow Gate Seat, Starboard Bow Seat Cooler and Greywood Interior Accents.